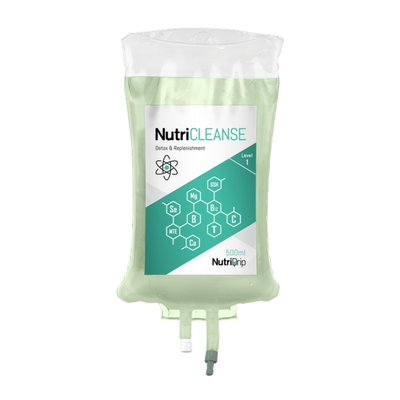 NutriDrip has fourteen different intravenous vitamin solutions to choose from, or build a NutriDrip program tailored to your needs. The NutriCLEANSE is our signature and most loved drip. Feel purified through the amazing detoxifying power of Glutathione, Selenium and Vitamin C. Combat the urban exposure of harmful pollutants, chemicals, and heavy metals. Detoxify against heavy metals and free radicals. Energize your body for days. Revitalize from the inside out. NutriSKINNY is the ultimate weight loss and fat burning enhancement to your diet. Kick start your weight loss with this lipotropic cocktail, i.e. fat mobilizing amino acids. Also complemented with L-carnitine to help metabolize carbohydrates to limit fat storage. Heightened senses, ageless energy, and youthful brain function. NutriYOUTH is a whole body anti-aging infusion with the miraculous molecule, NAD+. Harvard professor, Dr. Sinclair, recently discovered the breakthrough benefits of NAD+ for DNA protection and replication efficacy. Through improved cellular respiration and mitochondrial function, IV NAD+ has been shown in medical studies to stop cellular aging in its tracks. The Basic Recovery supports light hangover symptoms including dehydration, nausea and muscle/joint pain. A simple combination of electrolyte hydration and a choice of 2 powerful prescription-strength medications, your body will be nurtured back to a healthier and happier state within 30 minutes. The Mega Recovery is the ultimate hangover recovery drip. Good for symptoms including nausea, dizziness, muscle pain, irritability, light and sound sensitivity and fatigue. Packed with a boost of vitamin C for immunity, extra Thiamine and B vitamins for energy and L-Glutathione to rid aggravating toxins plus a choice of 2 prescription strength medications.